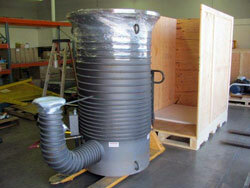 Packing, securing and crating of several industrial pumps. 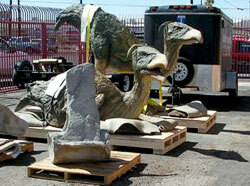 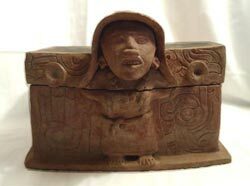 Packing and Crating of several pieces of fragile Pre-Columbian art for shipment to Sotheby's art auction in New York. 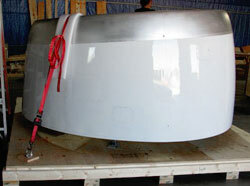 Shipping of historical aircraft parts to Australia. 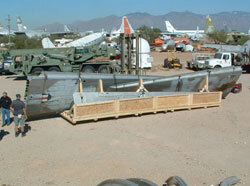 Aircraft wings where secured to a custom made shipping pallet then loaded into a shipping container. 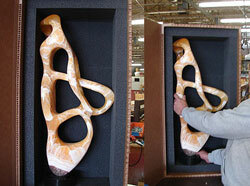 Natures Art display crated and packed for shipment. 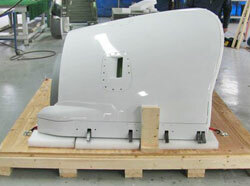 This crate was built for Honda for housing a crash test dummy. 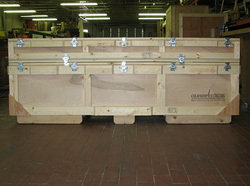 Smaller top crate fastens to larger bottom crate using link-locks. 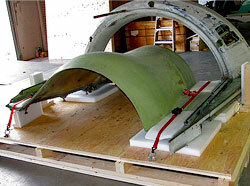 This crate features removable wheels that can raise and lower the crate. 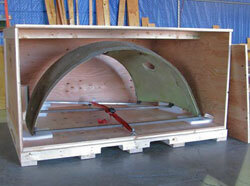 The wheels are stored in their own compartment inside the crate when not in use. 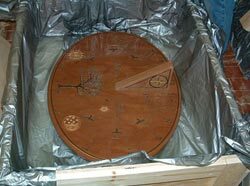 The sundial is prepared for shipment using the Instapack system. 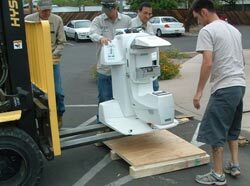 X-Ray equipment prepared for shipping.